Harcourt envisioned a permanent unit dedicated to the prevention of politically motivated violence through the use of modern techniques such as undercover infiltration. This pioneering branch was the first to be trained in counter-terrorism techniques. Its name was changed to Special Branch as it had its remit gradually expanded to incorporate a general role in counterterrorism, combating foreign subversion and infiltrating organized crime. Law enforcement agencies, in Britain and elsewhere, established similar units. Counterterrorism forces expanded with the perceived growing threat of terrorism in the late 20th century. Specifically, after the September 11 attacks, Western governments made counter-terrorism efforts a priority, including more foreign cooperation, shifting tactics involving red teams and preventive measures. Although sensational attacks in the developed world receive a great deal of media attention, most terrorism occurs in less developed countries. Government responses to terrorism in some cases generate substantial unintended consequences. Domestic intelligence is often directed at specific groups, defined on the basis of origin or religion, which is a source of political controversy. Mass surveillance of an entire population raises objections on civil liberties grounds. Homegrown terrorists, especially lone wolves are often harder to detect because of their citizenship or legal status and ability to stay under the radar. In response to the growing legislation. The United Kingdom has had anti-terrorism legislation in place for more than thirty years. The Prevention of Violence Act 1939 was brought in response to an Irish Republican Army (IRA) campaign of violence under the S-Plan. This act had been allowed to expire in 1953 and was repealed in 1973 to be replaced by the Prevention of Terrorism Acts a response to the Troubles in Northern Ireland. From 1974 to 1989 the temporary provisions of the act were renewed annually. The Anti-terrorism, Crime and Security Act 2001 was formally introduced into the Parliament November 19, 2001 two months after the September 11, 2001 attacks in the United States. It received royal assent and went into force on December 13, 2001. On December 16, 2004 the Law Lords ruled that Part 4 was incompatible with the European Convention on Human Rights, but under the terms of the Human Rights Act 1998 it remained in force. The Prevention of Terrorism Act 2005 was drafted to answer the Law Lords ruling and the Terrorism Act 2006 creates new offences related to terrorism, and amends existing ones. The Act was drafted in the aftermath of the 7 July 2005 London bombings, and like its predecessors some of its terms have proven to be highly controversial. Since 1978 the UK's terrorism laws have been regularly reviewed by a security-cleared Independent Reviewer of Terrorism Legislation, whose often influential reports are submitted to Parliament and published in full. The U.S. passed the USA PATRIOT Act after the September 11 attacks, as well as a range of other legislation and executive orders relating to national security. The Posse Comitatus Act limits domestic employment of the United States Army and the United States Air Force, requiring Presidential approval prior to deploying the Army and/or the Air Force. Pentagon policy also applies this limitation to the United States Marine Corps and the United States Navy, because the Posse Comitatus Act doesn't cover naval services, even though they are federal military forces. The Department of Defense can be employed domestically on Presidential order, as was done during the Los Angeles riots of 1992, Hurricane Katrina, and the Beltway Sniper incidents. In February 2017, sources claimed that the Trump administration intends to rename and revamp the U.S. government program Countering Violent Extremism (CVE) to solely focus on Islamist extremism. Australia has passed several anti-terrorism acts. In 2004, a bill comprising three acts Anti-terrorism Act, 2004, (No 2) and (No 3) was passed. Then Attorney-General, Philip Ruddock, introduced the Anti-terrorism bill, 2004 on March 31. He described it as "a bill to strengthen Australia's counter-terrorism laws in a number of respects – a task made more urgent following the recent tragic terrorist bombings in Spain." He said that Australia's counter-terrorism laws "require review and, where necessary, updating if we are to have a legal framework capable of safeguarding all Australians from the scourge of terrorism." The Australian Anti-Terrorism Act 2005 supplemented the powers of the earlier acts. The Australian legislation allows police to detain suspects for up to two weeks without charge and to electronically track suspects for up to a year. The Australian Anti-Terrorism Act of 2005 included a "shoot-to-kill" clause. In a country with entrenched liberal democratic traditions, the measures are controversial and have been criticized by civil libertarians and Islamic groups. Israel monitors a list of designated terrorist organizations and has laws forbidding membership in such organizations, funding or helping them in any way. On December 14, 2006 the Israeli Supreme Court ruled targeted killings were a permitted form of self-defense. In 2016 the Israeli Knesset passed a comprehensive law against terrorism, forbidding any kind of terrorism and support of terrorism, and setting severe punishments for terrorists. The law also regulate legal efforts against terrorism. 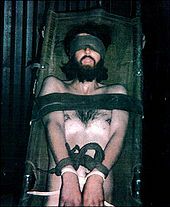 John Walker Lindh was captured as an enemy combatant during the United States' 2001 invasion of Afghanistan. Democratic principles and values are essential tools in the fight against terrorism. Any successful strategy for dealing with terrorism requires terrorists to be isolated. Consequently, the preference must be to treat terrorism as criminal acts to be handled through existing systems of law enforcement and with full respect for human rights and the rule of law. We recommend: (1) taking effective measures to make impunity impossible either for acts of terrorism or for the abuse of human rights in counter-terrorism measures. (2) the incorporation of human rights laws in all anti-terrorism programmes and policies of national governments as well as international bodies." A 2017 study found that "governance and civil society aid is effective in dampening domestic terrorism, but this effect is only present if the recipient country is not experiencing a civil conflict." Terrorism has often been used to justify military intervention in countries like Pakistan where terrorists are said to be based. That was the main stated justification for the U.S. invasion of Afghanistan. It was also a stated justification for the second Russian invasion of Chechnya. Military intervention has not always been successful in stopping or preventing future terrorism, like during the Malayan Emergency, the Mau Mau uprising, and most of the campaigns against the IRA during the Irish Civil War, the S-Plan, the Border Campaign (IRA) and the Troubles in Northern Ireland. Although military action can disrupt a terrorist group's operations temporarily, it sometimes doesn't end the threat completely. Whatever the target of terrorists, there are multiple ways of hardening the targets to prevent the terrorists from hitting their mark, or reducing the damage of attacks. One method is to place Hostile vehicle mitigation to enforce protective standoff distance outside tall or politically sensitive buildings to prevent car and truck bombing. Another way to reduce the impact of attacks is to design buildings for rapid evacuation. Aircraft cockpits are kept locked during flights, and have reinforced doors, which only the pilots in the cabin are capable of opening. UK railway stations removed their rubbish bins in response to the Provisional IRA threat, as convenient locations for depositing bombs. Scottish stations removed theirs after the 7 July 2005 London Bombings as a precautionary measure. The Massachusetts Bay Transportation Authority purchased bomb-resistant barriers after the September 11 terrorist attacks. Iron Dome air defense system. It intercepts artillery rockets fired by terrorist onto Israeli cities and towns. As Israel is suffering from constant shelling of its cities, towns and settlements by artillery rockets from the Gaza Strip (mainly by Hamas, but also by other Palestinian factions) and Lebanon (mainly by Hezbollah), Israel developed several defensive measures against artillery, rockets and missiles. These include building a bomb shelter in every building and school, but also deploying active protection systems like the Arrow ABM, Iron Dome and David's Sling batteries which intercept the incoming threat in the air. Iron Dome has successfully intercepted hundreds of Qassam rockets and Grad rockets fired by Palestinians from the Gaza Strip. A more sophisticated target-hardening approach must consider industrial and other critical industrial infrastructure that could be attacked. Terrorists need not import chemical weapons if they can cause a major industrial accident such as the Bhopal disaster or the Halifax Explosion. Industrial chemicals in manufacturing, shipping, and storage need greater protection, and some efforts are in progress. To put this risk into perspective, the first major lethal chemical attack in WWI used 160 tons of chlorine. Industrial shipments of chlorine, widely used in water purification and the chemical industry, travel in 90 or 55 ton tank cars. To give one more example, the North American electrical grid has already demonstrated, in the Northeast Blackout of 2003, its vulnerability to natural disasters coupled with inadequate, possibly insecure, SCADA (supervisory control and data acquisition) networks. Part of the vulnerability is due to deregulation leading to much more interconnection in a grid designed for only occasional power-selling between utilities. A small number of terrorists, attacking key power facilities when one or more engineers have infiltrated the power control centers, could wreak havoc. Equipping likely targets with containers (i.e., bags) of pig lard has been utilized to discourage attacks by suicide bombers. The technique was apparently used on a limited scale by British authorities in the 1940s. The approach stems from the idea that Muslims perpetrating the attack would not want to be "soiled" by the lard in the moment prior to dying. The idea has been suggested more recently as a deterrent to suicide bombings in Israel. However, the actual effectiveness of this tactic is probably limited as it is possible that a sympathetic Islamic scholar could issue a fatwa proclaiming that a suicide bomber would not be polluted by the swine products. Emergency medical services will triage, treat, and transport the more seriously affected victims to hospitals, which will also need to have mass casualty and triage plans in place. Today, many countries have special units designated to handle terrorist threats. Besides various security agencies, there are elite tactical units, also known as special mission units, whose role is to directly engage terrorists and prevent terrorist attacks. Such units perform both in preventive actions, hostage rescue and responding to on-going attacks. Countries of all sizes can have highly trained counter-terrorist teams. Tactics, techniques and procedures for manhunting are under constant development. Most of these measures deal with terrorist attacks that affect an area, or threaten to do so. It is far harder to deal with assassination, or even reprisals on individuals, due to the short (if any) warning time and the quick exfiltration of the assassins. Some counterterrorist actions of the 20th and 21st century are listed below. See list of hostage crises for a more extended list, including hostage-taking that did not end violently. 1972 Sabena Flight 571 Tel Aviv-Lod International Airport, Israel Mixed Black September Sayeret Matkal 1 passenger dead, 2 hijackers killed. 2 passengers and 1 commando injured. 2 kidnappers captured. All other 96 passengers rescued. 1975 AIA Hostage Incident AIA building, Kuala Lumpur, Malaysia Mixed. US and Swedish Japanese Red Army Special Actions Unit All hostages rescued, all kidnappers flown to Libya. 1977 Hijacking of Lufthansa Flight 181 Spanish airspace and Mogadishu, Somalia Mixed PFLP GSG 9, Special Air Service consultants 1 hostage killed prior to the raid, 3 hijackers dead, 1 captured. 90 hostages rescued. 1980 Casa Circondariale di Trani Prison riot Trani, Italy Italian Red Brigades Gruppo di intervento speciale (GIS) 18 policemen rescued, all terrorists captured. 1980 Iranian Embassy Siege London, UK Mostly Iranian but some British Democratic Revolutionary Movement for the Liberation of Arabistan Special Air Service 1 hostage, 5 kidnappers dead, 1 captured. 24 hostages rescued. 1 SAS operative received minor burns. 1981 Hijacking of "Woyla" Garuda Indonesia Don Muang International Airport, Thailand Indonesian Jihad Command Kopassus, RTAF mixed forces 1 hijacker killed himself, 4 hijackers and 1 Kopassus operative dead, 1 pilot wounded, all hostages rescued. 1982 Liberation of General James L. Dozier Padua, Italy American Red Brigades Nucleo Operativo Centrale di Sicurezza (NOCS) Hostage saved, capture of the entire terrorist cell. 1983 Turkish embassy attack Lisbon, Portugal Turkish Armenian Revolutionary Army GOE 5 hijackers, 1 hostage and 1 policeman dead, 1 hostage and 1 policeman wounded. 2000 Sauk Arms Heist Perak, Malaysia Malaysian (2 policemen, 1 soldier and 1 civilian) Al-Ma'unah Grup Gerak Khas and 20 Pasukan Gerakan Khas, mixed forces 2 hostages dead, 2 rescuers dead, 1 kidnapper dead and the other 28 kidnappers captured. 2001-2005 Pankisi Gorge crisis Pankisi Gorge, Kakheti, Georgia Georgians mixed, mostly Arab and Chechen combatants 2400 troops and 1000 policemen Repressing the threats of terrorism in the gorge. 2002 Moscow theater hostage crisis Moscow Mixed, mostly Russian (900+) Chechen Russian Spetsnaz 129–204 hostages dead, all 39 kidnappers dead. 600–700 hostages freed. 2004 Beslan school hostage crisis Beslan, North Ossetia-Alania, (an autonomous republic in the North Caucasus region of the Russian Federation). Russian Chechen Mixed Russian 334 hostages dead and hundreds wounded. 10–21 rescuers dead. 31 kidnappers killed, 1 captured. 2008 Operations Dawn Gulf of Aden, Somalia Mixed Somalian piracy and militants PASKAL and international mixed forces Negotiation finished. 80 hostages released. RMN including PASKAL navy commandos with international mixed forces patrolling the Gulf of Aden during this festive period. 2008 2008 Mumbai attacks Multiple locations in Mumbai city Indian Nationals, Foreign tourists Ajmal Qasab and other Pakistani nationals affiliated to Laskar-e-taiba 300 NSG commandos, 36–100 Marine commandos and 400 army Para Commandos 141 Indian civilians, 30 foreigners, 15 policemen and two NSG commandos were killed. 2009 2009 Lahore Attacks Multiple locations in Lahore city Pakistan Lashkar-e-Taiba Police Commandos, Army Rangers Battalion March 3, The Sri Lankan cricket team attack – 6 members of the Sri Lankan cricket team were injured, 6 Pakistani policemen and 2 civilians killed. March 30, the Manawan Police Academy in Lahore attack – 8 gunmen, 8 police personnel and 2 civilians killed, 95 people injured, 4 gunmen captured..
Plaza Cinema Chowk attack – 16 policemen, an army officer and unknown number of civilians killed. As many as 251 people injured. 2011 Operation Dawn of Gulf of Aden Gulf of Aden, Somalia Koreans, Myanmar, Indonesian Somalian piracy and militants Republic of Korea Navy Special Warfare Flotilla(UDT/SEAL) 4+ killed or missing, 8 killed, 5 captured, All hostages rescued. 2012 Lopota Gorge hostage crisis Lopota Gorge, Georgia Georgians ethnic Chechen, Russian and Georgian militants Special Operations Center, SOD, KUD and army special forces 2 KUD members and one special forces corpsman killed, 5 policemen wounded, 11 kidnappers killed, 5 wounded and 1 captured. All hostages rescued. 2013 2013 Lahad Datu standoff Lahad Datu, Sabah, Malaysia Malaysians Royal Security Forces of the Sultanate of Sulu and North Borneo (Jamalul Kiram III's faction) Malaysian Armed Forces, Royal Malaysia Police, Malaysian Maritime Enforcement Agency and joint counter-terrorism forces as well as Philippine Armed Forces. 8 policemen including 2 PGK commandos and one soldier killed, 12 others wounded, 56 militants killed, 3 wounded and 149 captured. All hostages rescued. 6 civilians killed and one wounded. 2017 2017 Isani flat siege Isani district, Tbilisi, Georgia Georgians Chechen militants Police special forces 3 muslim militants killed, including Akhmed Chatayev. One special forces officer killed during skirmishes. A particular design problem for this system is that it will face many uncertainties in the future. The threat of terrorism may increase, decrease or remain the same, the type of terrorism and location are difficult to predict, and there are technological uncertainties. Yet we want to design a terrorism system conceived and designed today in order to prevent acts of terrorism for a decade or more. A potential solution is to incorporate flexibility into system design for the reason that the flexibility embedded can be exercised in future as uncertainty unfolds and updated information arrives. And the design and valuation of a protection system should not be based on a single scenario, but an array of scenarios. Flexibility can be incorporated in the design of the terrorism system in the form of options that can be exercised in the future when new information is available. Using these 'real options' will create a flexible Anti-terrorism system that is able to cope with new requirements that may arise. While some countries with longstanding terrorism problems, such as Israel, have law enforcement agencies primarily designed to prevent and respond to terror attacks, in other nations, counter-terrorism is a relatively more recent objective of civilian police and law enforcement agencies. While some civil-libertarians and criminal justice scholars have called-out efforts of law enforcement agencies to combat terrorism as futile and expensive or as threats to civil liberties, other scholars have begun describing and analyzing the most important dimensions of the policing of terrorism as an important dimension of counterterrorism, especially in the post-9/11 era, and have argued how police institutions view terrorism as a matter of crime control. Such analyses bring out the civilian police role in counterterrorism next to the military model of a 'war on terror'. Pursuant to passage of the Homeland Security Act of 2002, federal, state, and local law enforcement agencies began to systemically reorganize. Two primary federal agencies (the Department of Justice (DOJ) and the Department of Homeland Security (DHS)) house most of the federal agencies that are prepared to combat domestic and international terrorist attacks. These include the Border Patrol, the Secret Service, the Coast Guard and the FBI. Following suit from federal changes pursuant to 9/11, however, most state and local law enforcement agencies began to include a commitment to "fighting terrorism" in their mission statements. Local agencies began to establish more patterned lines of communication with federal agencies. Some scholars have doubted the ability of local police to help in the war on terror and suggest their limited manpower is still best utilized by engaging community and targeting street crimes. While counter-terror measures (most notably heightened airport security, immigrant profiling and border patrol) have been adapted during the last decade, to enhance counter-terror in law enforcement, there have been remarkable limitations to assessing the actual utility/effectiveness of law enforcement practices that are ostensibly preventative. Thus, while sweeping changes in counter-terrorism rhetoric redefined most American post 9/11 law enforcement agencies in theory, it is hard to assess how well such hyperbole has translated into practice. In intelligence-led policing(ILP) efforts, the most quantitatively amenable starting point for measuring the effectiveness of any policing strategy (i.e. : Neighborhood Watch, Gun Abatement, Foot Patrols, etc.) is usually to assess total financial costs against clearance rates or arrest rates. Since terrorism is such a rare event phenomena, measuring arrests or clearance rates would be a non-generalizable and ineffective way to test enforcement policy effectiveness. Another methodological problem in assessing counter-terrorism efforts in law enforcement hinges on finding operational measures for key concepts in the study of homeland security. Both terrorism and homeland security are relatively new concepts for criminologists, and academicians have yet to agree on the matter of how to properly define these ideas in a way that is accessible. Assault car of the French GIGN. Algeria: GIS, DSI [fr], GOSP. China: Snow Leopard Commando Unit+, Beijing SWAT. Irish Army Ranger Wing operators during counter-terrorism training exercise. Given the nature of operational counter-terrorism tasks national military organizations do not generally have dedicated units whose sole responsibility is the prosecution of these tasks. Instead the counter-terrorism function is an element of the role, allowing flexibility in their employment, with operations being undertaken in the domestic or international context. In some cases the legal framework within which they operate prohibits military units conducting operations in the domestic arena; United States Department of Defense policy, based on the Posse Comitatus Act, forbids domestic counter-terrorism operations by the U.S. military. 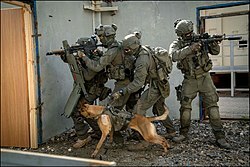 Units allocated some operational counter-terrorism task are frequently Special Forces or similar assets. Wikimedia Commons has media related to Counter-terrorism. ^ "Introduction to Foreign Internal Defense" (PDF). Curtis E. Lemay Center for Doctrine Development and Education. ^ Aniceto Masferrer, Clive Walker (2013). Counter-Terrorism, Human Rights and the Rule of Law: Crossing Legal Boundaries in Defence of the State. Edward Elgar Publishing. p. 294. ISBN 9781781954478. ^ Wisnicki, Adrian (2013). Conspiracy, Revolution, and Terrorism from Victorian Fiction to the Modern Novel. Literary Criticism and Cultural Theory. Routledge. p. 150. ISBN 978-1-135-91526-1. 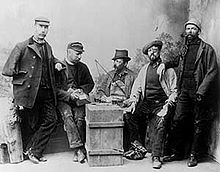 With the collapse of Parnell's political career in 1891 and the general, if temporary, demoralization of the Irish cause, the Special Branch's interests shifted to other revolutionary and anarchist groups, and the word Irish dropped out of the name. ^ Tim Newburn, Peter Neyroud (2013). Dictionary of Policing. Routledge. p. 262. ISBN 9781134011551. ^ Shaffer, Ryan (2015). "Counter-Terrorism Intelligence, Policy and Theory Since 9/11". Terrorism and Political Violence. 27 (2): 368–375. doi:10.1080/09546553.2015.1006097. Volume 27, Issue 2, 2015. ^ "Preventive Counter-Terrorism Measures and Non-Discrimination in the European Union: The Need for Systematic Evaluation". The International Centre for Counter-Terrorism - The Hague (ICCT). July 2, 2011. Retrieved September 6, 2016. ^ "Which Countries' Terrorist Attacks Are Ignored By The U.S. Media?". FiveThirtyEight. 2016. ^ "Trade and Terror: The Impact of Terrorism on Developing Countries". Federal Reserve Bank of St. Louis. 2017. ^ Sexton, Renard; Wellhausen, Rachel L.; Findley, Michael G. (2019). "How Government Reactions to Violence Worsen Social Welfare: Evidence from Peru". American Journal of Political Science. 0. doi:10.1111/ajps.12415. ISSN 1540-5907. ^ Feiler, Gil (September 2007). "The Globalization of Terror Funding" (PDF). Begin-Sadat Center for Strategic Studies, Bar-Ilan University: 29. Mideast Security and Policy Studies No. 74. Retrieved November 14, 2007. ^ "Terror bill passes into law". Jerusalem Post. Jerusalem Post. June 16, 2016. Retrieved June 16, 2016. ^ "Accountability and Transparency in the United States' Counter-Terrorism Strategy". The International Centre for Counter-Terrorism - The Hague (ICCT). January 22, 2015. Retrieved September 6, 2016. ^ "Preventive Counter-Terrorism Measures and Non-Discrimination in the European Union: The Need for Systematic Evaluation". The International Centre for Counter-Terrorism-The Hague (ICCT). July 2, 2011. Retrieved September 6, 2016. ^ Savun, Burcu; Tirone, Daniel C. (2018). "Foreign Aid as a Counterterrorism Tool - Burcu Savun, Daniel C. Tirone". Journal of Conflict Resolution. 62 (8): 1607–1635. doi:10.1177/0022002717704952. ^ Nagl, John A.; Petraeus, David H.; Amos, James F.; Sewall, Sarah (December 2006). "Field Manual 3–24 Counterinsurgency" (PDF). US Department of the Army. Retrieved February 3, 2008. While military manuals rarely show individual authors, David Petraeus is widely described as establishing many of this volume's concepts. ^ Ronchi, E. (2015). "Disaster management: Design buildings for rapid evacuation". Nature. 528 (7582): 333. doi:10.1038/528333b. PMID 26672544. ^ Weiss, Eric M. (January 11, 2005). "D.C. Wants Rail Hazmats Banned: S.C. Wreck Renews Fears for Capital". The Washington Post: B01. ^ "Suicide bombing 'pig fat threat". BBC News. February 13, 2004. Retrieved January 2, 2010. ^ "Swine: Secret Weapon Against Islamic Terror?". ArutzSheva. December 9, 2007. ^ Stathis N. Kalyvas (2004). "The Paradox of Terrorism in Civil Wars" (PDF). Journal of Ethics. 8 (1): 97–138. doi:10.1023/B:JOET.0000012254.69088.41. Archived from the original (PDF) on October 11, 2006. Retrieved October 1, 2006. ^ Crewmen tell of scary ordeal Archived October 8, 2008, at the Wayback Machine The Star Sunday October 5, 2008. ^ "Ops Fajar mission accomplished". The Star. October 10, 2008. Archived from the original on October 24, 2008. Retrieved November 7, 2008. ^ Buurman, J.; Zhang, S.; Babovic, V. (2009). "Reducing Risk Through Real Options in Systems Design: The Case of Architecting a Maritime Domain Protection System". Risk Analysis. 29 (3): 366–379. doi:10.1111/j.1539-6924.2008.01160.x. ^ Juergensmeyer, Mark (2000). Terror in the Mind of God: The Global Rise of Religious Violence. Berkeley, CA: University of California Press. ^ a b Deflem, Mathieu. 2010. The Policing of Terrorism: Organizational and Global Perspectives. New York: Routledge. ^ Mathieu Deflem. 2010. The Policing of Terrorism: Organizational and Global Perspectives. New York: Routledge. ^ Ramirez, D., J. Hoopes, and T.L. Quinlan. 2003 "Defining racial profiling in a post-September 11 world." American Criminal Law Review. 40(3): 1195–1233. ^ Kilburn Jr., John C. and Costanza, S.E. 2009 "Immigration and Homeland Security" published in Battleground: Immigration (Ed: Judith Ann Warner); Greenwood Publishing, Ca. Janos Besenyo: Low-cost attacks, unnoticeable plots? Overview on the economical character of current terrorism, Strategic Impact (ROMANIA) (ISSN: 1841-5784) (eISSN: 1824-9904) 62/2017: (Issue No. 1) pp. 83-100. Deflem, Mathieu, and Stephen Chicoine. 2019. "Policing Terrorism." In The Handbook of Social Control, edited by Mathieu Deflem. Hoboken, NJ: Wiley-Blackwell. Deflem, Mathieu and Shannon McDonough. 2015. "The Fear of Counterterrorism: Surveillance and Civil Liberties Since 9/11." Society 52(1):70-79. Gagliano Giuseppe, Agitazione sovversiva, guerra psicologica e terrorismo (2010) ISBN 978-88-6178-600-4, Uniservice Books. Ishmael Jones, The Human Factor: Inside the CIA's Dysfunctional Intelligence Culture (2008, revised 2010) ISBN 978-1-59403-382-7, Encounter Books. James F. Pastor, "Terrorism and Public Safety Policing:Implications for the Obama Presidency" (2009, ISBN 978-1-4398-1580-9, Taylor & Francis). Judy Kuriansky (Editor), "Terror in the Holy Land: Inside the Anguish of the Israeli-Palestinian Conflict" (2006, ISBN 0-275-99041-9, Praeger Publishers). Newton Lee, Counterterrorism and Cybersecurity: Total Information Awareness (Second Edition) (Switzerland: Springer International Publishing, 2015), ISBN 978-3-319-17243-9.